At midnight April 2, Speaker David Ralston and Lt. Governor Geoff Duncan gaveled to a close the first year of the Georgia General Assembly’s biennial. The 2019 session will go down in our record books as a good one for banking as we were able to work with legislators to pass our three priority bills and amend, support or help defeat other bills affecting the industry. In total, we worked on 51 bills. “I’m so proud of our lobbying team who were at the Capitol every day fighting for our industry. 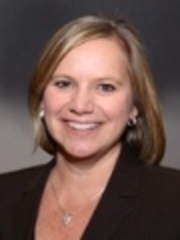 Elizabeth Chandler with support from Steve Bridges and Joe Brannen, took the lead for the industry negotiating often complex and sometimes controversial issues. Their years of experience paid off once again as they successfully navigated the fast-paced environment with professionalism and integrity,” said GBA Chairman John Hall, president and CEO, American Pride Bank, Macon. The priority bills we work on each session are determined in concert with our Public Affairs Committee that provides input to the Board of Directors that has the final authority prioritizing issues most important to the industry. Sometimes those bills are industry-developed to provide a new product or service, or are in response to court cases interpreting existing laws that could prove problematic, or are needed to modernize the code to remove outdated provisions or reflect changes in the industry. The three 2019 priority bills fell in each one of those categories. Shared Deposits. 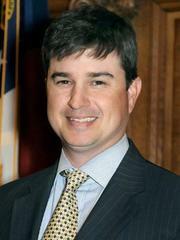 Falling in the category of new product or service was SB 157 by Senate Majority Caucus Chairman John Kennedy (R-Macon). For several months leading up to the session, GBA participated in a working group of interested public and private stakeholders to create an alternative to collateralizing public deposits. Because of our expertise developed over years of working with the General Assembly in the public funds statute, GBA provided the language in the bill authorizing both reciprocal and direct sale deposit programs for public depositors. The language we offered is patterned after other states with similar programs and outlines the simple requirements the public depositor’s bank must follow if the depositor chooses to participate in a shared deposit program. The legislation has built in safeguards for the depositors as the State Depository Board will approve and monitor the third party vendors offering these programs. The State Treasurer is the administrative officer who supports the State Depository Board and we will be participating in a meeting with him and others May 14 to give input into the approval and monitoring methodology that will be used by the Board. GBA’s Joe Brannen testified in support of the bill and it passed in final form March 26. As a reminder, there are three methods to collateralize public deposits in Georgia. Most community banks use the direct pledge method. Eleven banks participate in the Georgia Pledging Pool that allows banks to pool all public deposits and pledge collateral based on their bank’s total pool rather than pledging collateral to each depositor. And the third method is the Secure Deposit Program that is mandatory for the 10 banks operating in Georgia having assets greater than $50 billion and is voluntary for banks below that threshold. Approximately 20 percent of Georgia community banks participate in this program. Because this is a contingent liability pool, the program itself guarantees the public deposit and the collateral pledged is for the benefit of the bank participants. The shared deposit programs will affect all three methods as collateral only comes into play for public deposits greater than the FDIC insured amount. The shared deposit programs are structured so a public deposit will be fully insured at all times thereby avoiding collateralization altogether. 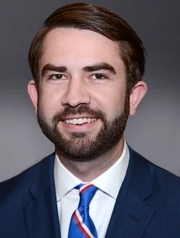 Please contact GBA’s David Oliver, 404.420.2036, if you need help walking through the various collateralization methods and the things you will want to keep in mind as the shared deposit program legislation is implemented. Statute of Frauds. Our second priority bill fell into the category of a problematic court case that unless addressed by the General Assembly would have had serious negative effects on our members. 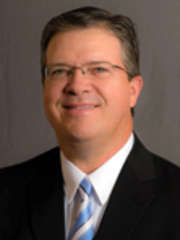 SB 37 by Senate Banking and Finance Committee Chairman William Ligon (R-Brunswick) was passed to restore the proper method of releasing or rescinding a written guaranty. As background, a 2018 Georgia Court of Appeals case, Crop Production Services, Inc. v T. E. Moye, reversed two cases going back nearly three decades which held that the Statute of Frauds barred oral evidence that a written guaranty had been released or rescinded. In Moye, the court held that a written guaranty may be rescinded by a mutual oral agreement, even though the guaranty itself is subject to the Statue of Frauds and contains a provision requiring that notice of revocation must be in writing. GBA asked our counsel, Bill Custer of Bryan Cave Leighton Paisner, to draft a proposed solution, which Sen. Ligon introduced. At a hearing on the bill, opposition surfaced and was led by Sen. Jesse Stone (R-Waynesboro), who called Mr. T.E. Moye and a debtor’s attorney from Macon, Ward Stone, to testify. Mr. Moye outlined the facts of his case although the settlement terms were confidential. Mr. Stone opposed the bill essentially saying he felt the ambiguity of the ability for oral cancelations favored debtors. Sen. Ligon and Custer worked with Sen. Stone to address his concerns without harming the underlying intent of the bill, and the amended bill passed the Senate. Two hearings were held in the House Judiciary Committee where some helpful additional language was added. The bill then passed the House and the Senate agreed with the changes giving final passage March 29. GBA’s Elizabeth Chandler and Custer testified on the bill in both the House and Senate. Banking Department Housekeeping Bill. Our third priority bill fell in the category of modernizing the code. 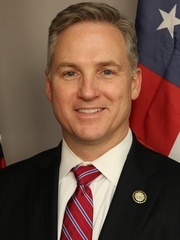 HB 185 by House Majority Caucus Secretary Bruce Williamson (R-Monroe) was the result of a year’s long effort led by the Department of Banking and Finance Deputy Commissioner for Legal Affairs Bo Fears in concert with GBA’s Bank Counsel Section chaired by Cavan Perry, The Citizens Bank, Nashville, and others. Of interest to bankers, the bill includes provisions to eliminate barriers to forming de novo banks, eliminate appropriated retained earnings references since they no longer affect legal lending limits, and authorize background checks for trust company directors and officers. The bill also contains provisions affecting other entities the Department regulates. The bill passed on March 18. Tax Credits. The GBA worked with the General Assembly way back in 1983 to create the current method of bank taxation. Key to that structure is the Bank Tax Credit. 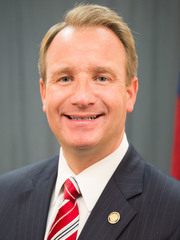 SB 120 by John Albers (R-Alpharetta) as introduced would have originally required a study of Georgia tax credits by having the state auditor prepare an economic analysis on each credit over a series of years. Most of the other credits being studied in the bill were those that had some incentive related to them, like the film tax credit. The Bank Tax Credit is nothing like that and is unique among all the other state tax credits. Our Tax Advisory Committee, chaired by Mark Robinson, Synovus Bank, Columbus, developed an extensive white paper explaining the Bank Tax Credit, and we provided that to Sen. Albers and others who were looking into the credits. The House Ways and Means Committee substantially changed the bill, and the Senate agreed with the changes. Now, only those credits identified by the chairmen of the House Ways and Means Committee and the Senate Finance Committee will be studied upon their joint request. Watercraft Titling. 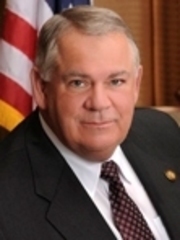 HB 314 by Rep. Ron Stephens (R-Savannah) creates a process by which boats and other watercraft will be titled. The concept of titling boats originated with GBA’s Credit Committee a number of years ago, and bills have been introduced looking at various ways to accomplish the goal. We’ve had to navigate opposition from dealers, various state departments that would be tasked with the duty and technology challenges to get to a final bill. Rep. Stephens has been our champion the last several years and doggedly pursued the concept helping all stakeholders get on board with his solution. The Department of Natural Resources will handle the titling and we’ve been working with our strategic partner, DDI, the leading provider of electronic lien and title services to most of our members, to ensure a smooth transition to the titling process. Also, to ensure ample time for the Department and others to prepare for the transition, the titling requirement will not go into effect until July 1, 2020. State-wide Business Court. 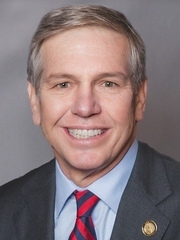 HB 239 by Rep. Chuck Efstration (R-Dacula) is the legislation to implement the statewide Business Court authorized by a constitutional amendment passed in 2018. Members of GBA’s Bank Counsel Section have been representing us working with a coalition of interested parties to get both the constitutional amendment and the enabling legislation passed. The idea is to allow the two parties involved in mostly complex business litigation the opportunity to move the case into a court that only deals with business matters. The court will sit in Macon-Bibb County as of July 1, 2019. One judge will be appointed for a five-year term by the Governor and approved by a majority vote of the House and Senate Judiciary Committees. The specific types of cases, the operation of the court and various fees are spelled out in the statute. Prized Linked Savings Accounts. 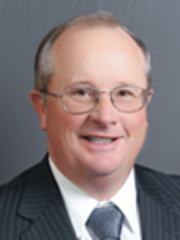 HB 193 by Rep. Emory Dunahoo (R-Gainesville) would authorize banks and credit unions to offer a deposit account with a raffle component to encourage savings. Our colleagues at the Georgia Credit Union Affiliates took the lead on the legislation as these type programs are more common with credit unions in other parts of the country, but some community banks have expressed an interest as well. The term “savings promotion raffle” was created within the banking code so as to distinguish the concept from a lottery or a game of chance where there is the possibility of losing money. With these raffles, the depositor is entered into a pool and the winner is awarded a cash deposit made into the existing account. The institution determines the criteria for the account and the prize awards. A fee other than the regular account fee may not be charged for the account. SAFETY 21 Loan Program. 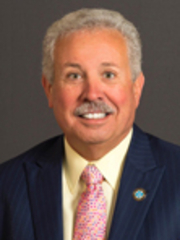 HB 30 by Speaker David Ralston (R-Blue Ridge) is the Fiscal Year 2019 Supplemental Appropriations Bill that contains an additional $20 million for the low interest loan program created to assist farmers and others suffering losses from Hurricane Michael. 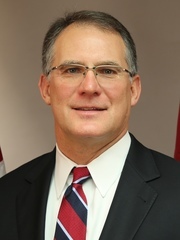 GBA’s Agriculture Committee chaired by Todd Harrell, United National Bank, Cairo, has worked closely with Agriculture Commissioner Gary Black and the Georgia Development Authority that was given responsibility to oversee the SAFETY 21 Loan Program to get the program operational. The program was created during last fall’s special session of the General Assembly and received an initial appropriation of $55 million. With congress having such a hard time coming up with a federal disaster relief program for our producers, the SAFETY 21 program has been crucial for over 300 farmers who have been helped so far by receiving one of these loans. Rural Development. GBA has been supporting the work of the House Rural Development Council and a similar committee in the Senate as they’ve sought ways to help rural Georgia. We testified before the Council highlighting the role bankers play in economic development, capital formation and job growth. 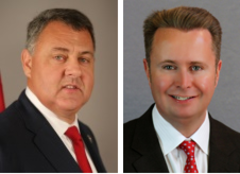 Jackson McConnell, Pinnacle Bank, Elberton; Ken Bibb, Geo. D. Warthen Bank, Sandersville; and Bill Thompson, Queensborough National Bank and Trust Company, Louisville, were our panelists. Several bills were passed in the 2018 session related to rural healthcare and access to high speed internet. This year, several broadband initiatives were rolled into SB 2 by Sen. Steve Gooch (R-Dahlonega) allowing Electric Membership Corporations to provide the service and allowing easements for certain other electric and gas providers. Sen. Gooch’s SB 17 passed, too. That bill allows telephone cooperatives to also be in the broadband business. 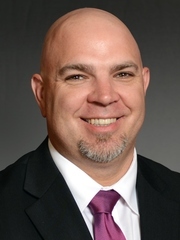 HR 37 by Rep. Kevin Tanner (R-Dawsonville) passed and creates the Georgia Commission on Freight and Logistics to make recommendations for a comprehensive strategic business plan to develop state-wide freight and logistics infrastructure with the intent of ensuring the state remains economically competitive. The House re-authorized the Rural Development Council for an additional two years by passing HR 214 by Rep. Sam Watson (R-Moultrie). Each year there are a number of bills that have peripheral interest to banking and we monitor those as they often become vehicles for other ideas to be attached to or have the potential to create operational challenges for our members if amended. Most are generally helpful. Here’s list of several such bills we monitored throughout the session that are awaiting the Governor’s consideration. Funeral Expenses for Intestate Depositors. HB 490 by Rep. Jason Ridley (R-Chatsworth). The bill increases the amount and shortens the time financial institutions are required to release deposits upon receipt of a proper affidavit to pay claimants for funeral expenses or expenses of last illness. Hemp Farming. 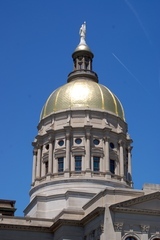 HB 213 by Rep. John Corbett (R-Lake Park) establishes the framework for research, development, growing, licensing and regulating hemp production in Georgia. Abandoned Motor Vehicles. 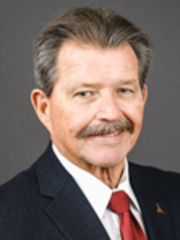 HB 307 by Rep. Alan Powell (R-Hartwell) replaces the current process for disposing of abandoned motor vehicles in public rights of way with a new process that is intended to take into account any existing liens when the vehicles are sold and the proceeds escheated to the Revenue Department. Appraisal Management Companies. HB 192 by Rep. Alan Powell (R-Hartwell) is a substantial revision to the code relating to the operation of Appraisal Management Companies. Payroll Methods. Language from HB 110 by Rep. Tom Kirby (R-Loganville) was added to another bill, HB 373, which passed. The bill gives employers the discretion to issue payroll for wages in the manner chosen by the employer. Guardianship. HB 70 by Rep. Chuck Efstration (R-Dacula) revises a number of areas within the code affecting guardianship of minors and adults. The changes mostly relate to appointment issues and court administration rather than bank operations. Low THC Oil. HB 324 by Rep. Micah Gravley (R-Douglasville) provides for the production, manufacturing, and dispensing of low THC oil. Nationwide Multistate Licensing System and Registry. 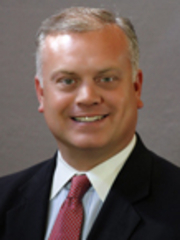 HB 212 by Rep. Clay Pirkle (R-Ashburn) exempts certain retailers of mobile homes from registration under the state and national mortgage registration system. Recording Fees. 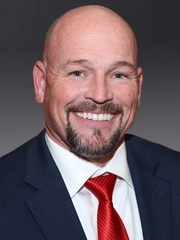 HB 288 by Rep. Alan Powell (R-Hartwell), among other things, creates a flat filing fee for recording certain real estate and personal property with the clerk of superior court by raising the current base fee and eliminating the per page fee. 529 Savings Trust Accounts. HB 266 by Rep. Marcus Wiedower (R-Watkinsville) doubles the state income tax deduction for contributions to certain savings trust accounts. Timber Tax Credit. 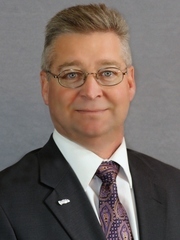 HB 446 by Rep. David Knight (R-Griffin) relating to income tax credits for timber producers incurring losses from Hurricane Michael, so as to clarify that certain income tax credits that have been transferred shall not be refundable to the transferee and shall not be eligible for transfer. Title Insurance. SB 202 by Sen. William Ligon (R-Brunswick) allows title insurance to be procured on a lender's security interest in personal property taken by the lender as collateral for a loan. Writ of Possession. HB 492 by Rep. Bonnie Rich (R-Suwanee) requires applications for execution of a writ of possession in dispossessory proceedings to be made within 30 days of the issuance of the writ unless good cause is shown. Throughout the session there were bills introduced or subject of committee hearings that were significantly concerning to our members. We’ll highlight just two of those here and want to thank our members for engaging with your individual legislator to help him or her understand the problems these would have created had they moved forward. Elder Abuse / Neglect. 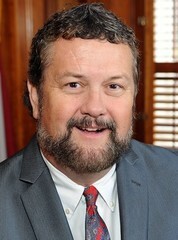 HB 402 by Rep. Houston Gaines (R-Athens) would have greatly expanded the current statute requiring bankers to report suspected cases of elderly financial exploitation by requiring the reporting of instances of suspected elder abuse and neglect. Georgia banks are doing a great job reporting elder financial exploitation cases. In fact, the Department of Aging tells us that reporting is up over 200 percent just this past year. However, bankers are simply not in a position to detect cases of abuse and neglect as those terms are defined in the Georgia code. A hearing on the bill was canceled. P.A.C.E. Loans. 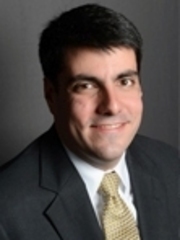 SB 162 by Sen. Matt Brass (R-Newnan) would have authorized certain loans that would have priority lien status over all existing liens other than tax liens. The loans would have had a negative effect on the mortgage market and on traditional lenders with existing mortgages on the property. The bill passed the Senate, but did not move forward in the House. A big, “Thank you!” from our Advocacy Team to our members who engaged regularly and to members of the General Assembly for their hard work and open doors to listen to our thoughts and concerns. All bills GBA tracked may be found on the State Issues page under the Advocacy tab on GBA’s website. With questions about GBA legislation, other issues of interest, or anything related to the legislative process, contact Elizabeth Chandler at 404.420.2027, Steve Bridges at 404.420.2037 or Joe Brannen at 404.420.2026.